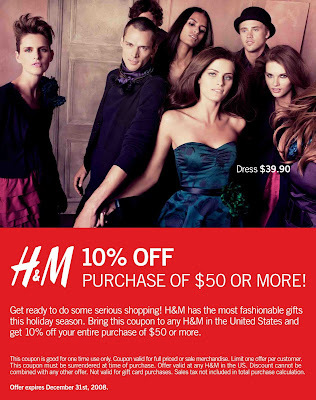 H&M is having a 10% OFF your entire purchase of $50 or more. Not a bad discount! H&M has some good stuff sometimes. Yea, I only like to travel for fun, hehe. sweeeeeeeet! thanks for the coupon! Please don't forget to include my couponsaver site. It covers 15,000+ coupons to help online shoppers save some money.